Parameters Notes 7 has been upgraded to Parameters Notes 7.1! What does this mean? It means the old .rtf format has been left for the more favorable .html format! This means that it's easier than every to navigate around Param Notes! 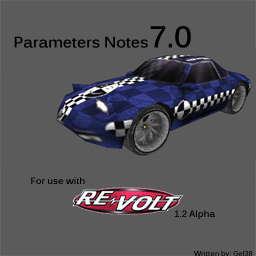 Parameters Notes 7.1 is also applicable to every version of Re-Volt!